I know there are so many different ways to learn numbers. 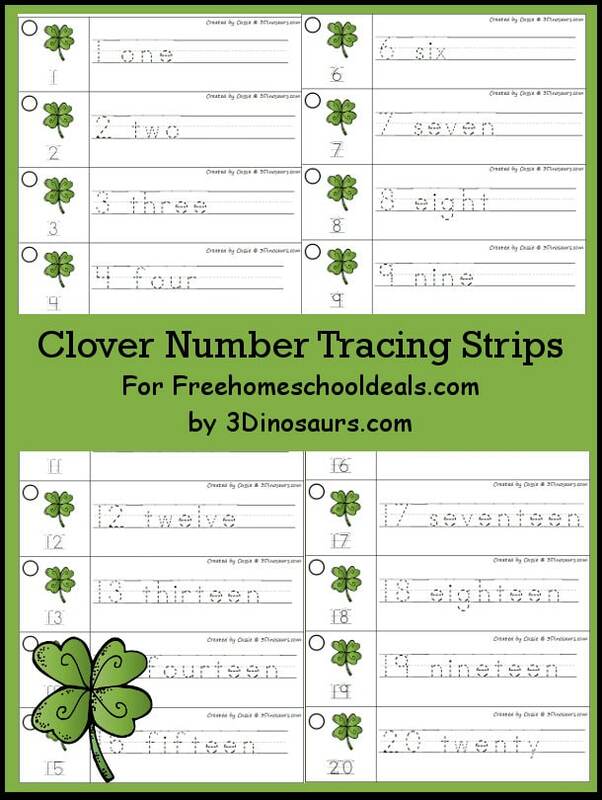 We love the clover tracing strips last year. I know that we are always looking for fun ways to work on our numbers. These are simple and easy to use for kids. I recommend cutting and laminating the strips to use them over and over. You can use a hole punch to make a hole in the circle and put them on a ring. It also makes it easy to store. But if you do want to just do a one time use you can print the page and use it as it is. Gigi is a homeschool Mom to her three daughters and a content editor for Free Homeschool Deals.